On Saturday from 1:00 until 3:00 PM Central Time, I will join my friend and Northern Alliance Radio Network colleague Mitch Berg at Medicine Lake in Plymouth. 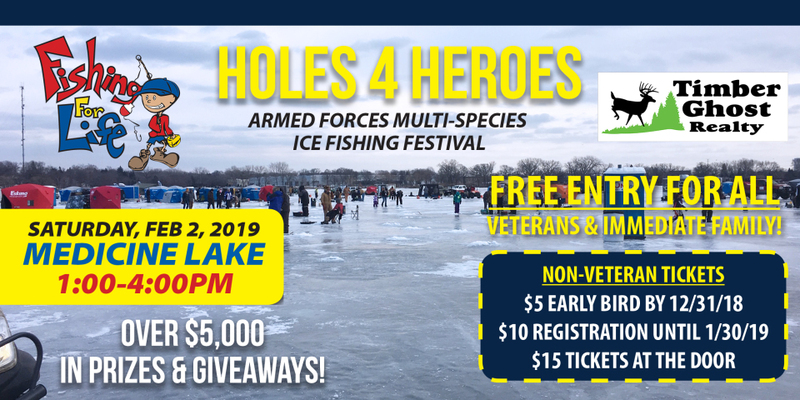 We will conduct a live broadcast at the Holes for Heroes ice fishing tournament which is put on by the indomitable crew with Fishing For Life. Proceeds from this event go to benefit the immediate family members of those in active duty military. 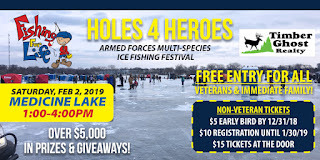 As I write this, there are no scheduled guests but you can be sure that we'll joined by proud military vets, tournament organizers, volunteers, etc. You can listen live in the Twin Cities at AM 1280 or, if you're near downtown Minneapolis/West Metro area, 107.5 FM on your radio dial. In and out of the Minneapolis-St Paul area you can listen to the program on the Internet by clicking this link, or check us out via iheart radio as well as Amazon Echo (just say "Alexa, play The Patriot Minneapolis"). If you're unable to tune in live, please check out Mitch's podcast page for the latest show post.